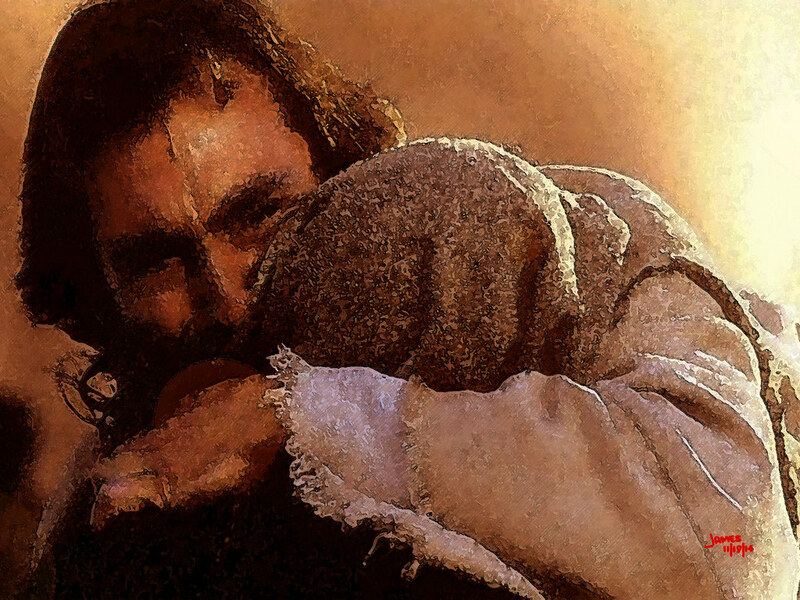 Was Jesus a faithless wimp when he wept? As you approach Jesus, you see him crying with two women, all three clinging to each other; a dear friend of Jesus, and brother of the two women has died; his name was Lazarus. It’s because weeping is the most appropriate response to the loss of someone you love, and it doesn’t matter if you’re Jesus and you know that the outcome is going to be a resurrection. Loss is loss – period. And loss hurts. But, it’s hard to truly cry in front of others because it does feel faithless and wimpy. But why? I think it’s because of the vulnerability of love. Love is like taking off the mask of self-reliance, as if others really don’t mean that much to you. When you love someone, deeply, it feels threatening and frightening to expose your true self – the one that does not want to be without the other; you, the one who does not want to walk alone; you, the one who feels empty and half-alive without the other. This is not psycho-babble. The Jews remarked upon watching and hearing Jesus weep over Lazarus’ death, “. . . see how he loved him” (vs. 36). This kind of love is not faithless nor wimpy. It takes rock-solid courage to be so vulnerable in the presence of another. In fact, you have to forget yourself and put away any mask of toughness and independence, any fear of looking foolish, any dread of push-back from the one you weep for. Nor is it faithless, as if there is no more comfort to be had. Even the medical professionals, both physical and mental, have written extensively about the healing benefit of weeping. And no wonder, for they are simply acknowledging the order of the universe in which we were made to find healing from crying (Psalm 22). For those whose hope is in the one who has authority over death, we do not grieve faithlessly (1 Thessalonians 4:13); we believe that all our tears are stored up as fuel for great joy (Psalm 56). So, “weep with those who weep” – and weep for those you love. It is neither cowardly, nor hopeless. Rather, it is full of faith and backbone. This entry was posted in Uncategorized and tagged Jesus Wept, Lazarus, Vulnerable Love, Weeping by ivanjamestruman. Bookmark the permalink.